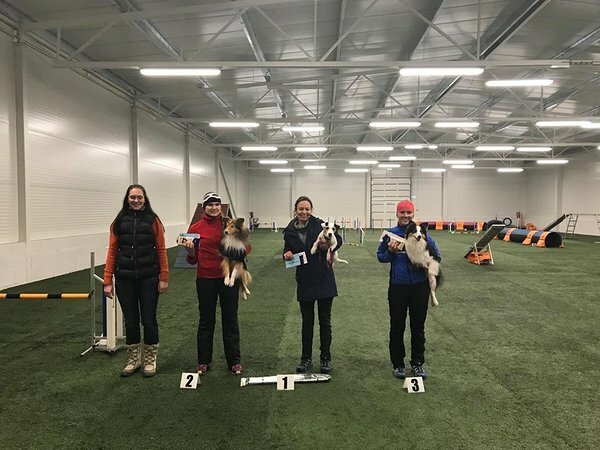 Independent Day agility competition in Vastse-Kuuste was nice: speedy courses, frendly atmosphere, sunshine -15 cold outside and warm festive inside. Astra run very nice clean Open course. 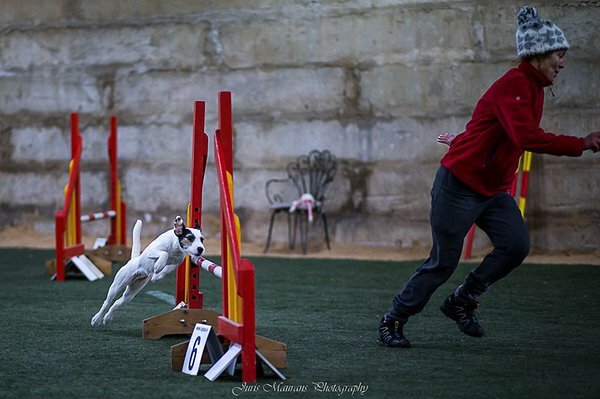 But first time in my life I satrted course without the judge's permission. Some misunderstanding by me. Must to be more careful in the furure. 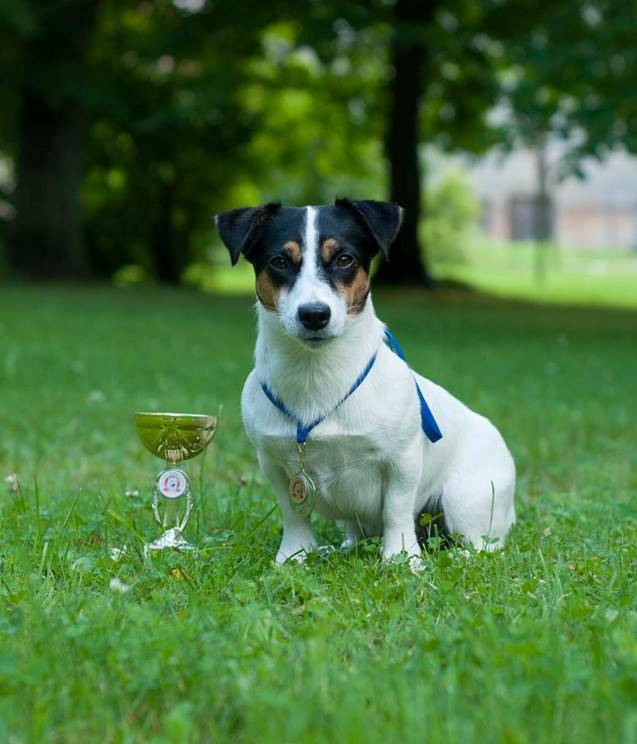 Astra got in AG1 3rd place in mini-medi category. 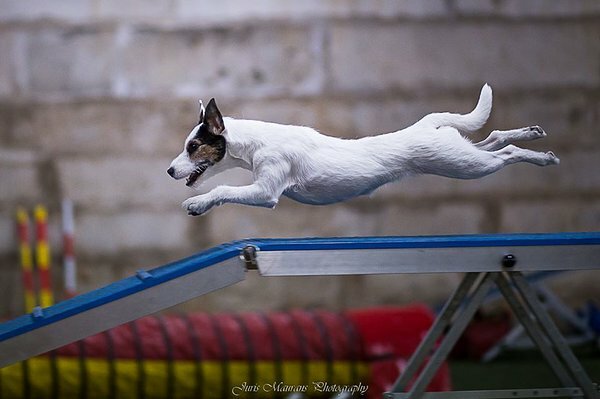 Crazy jack did megahigh jump from seesaw. New 2018 year started well. 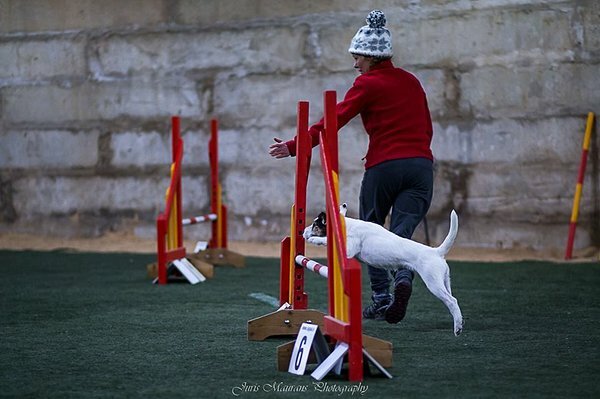 In agility competition 13.-14.01.2018 in Vaste -Kuustes, judge Lidia Belyaeva (Latvia) on the first day Essie run two clean runs - jumping 5,29 m/s and IV place and agility 5,69 m/s I place - and on the second day we had nice run in first agility course 5,6 m/s, one mistake on seesaw, I place). 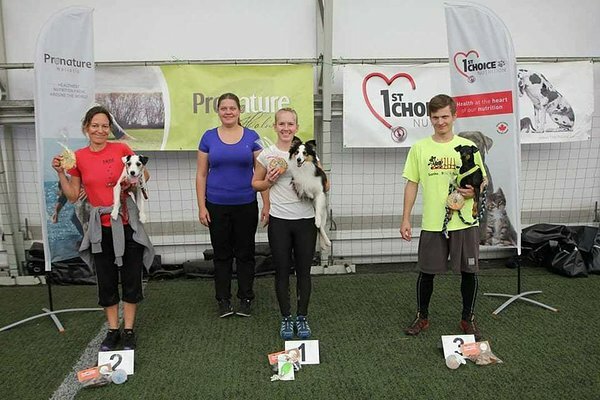 In same competition 13.01.2018 Margit and Oldywell Best Choice Benjamin aka Benji started with A1. They got first clean run and III place. 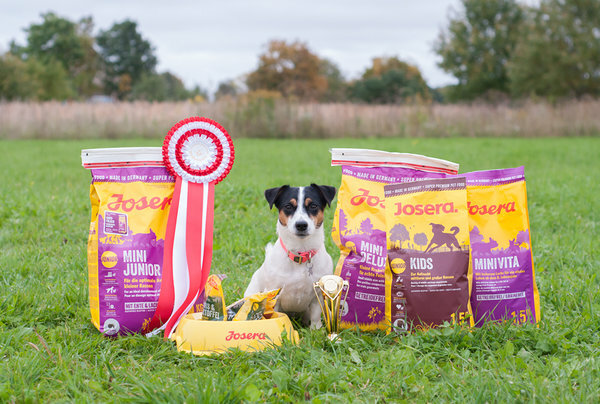 Congratulations and good luck! 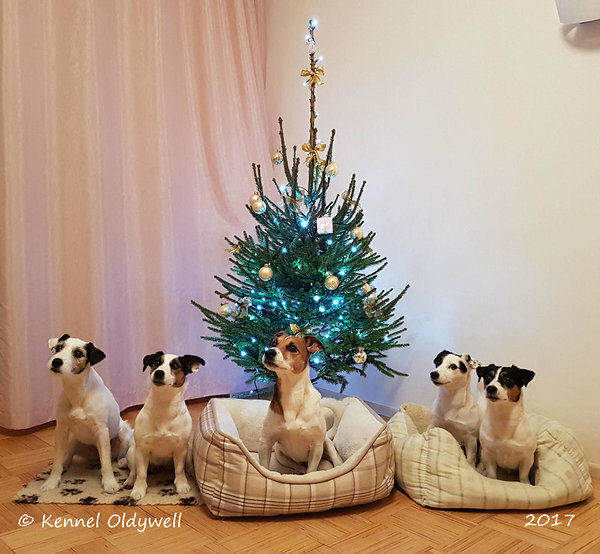 Merry Christmas and Happy New 2018 Year!!! 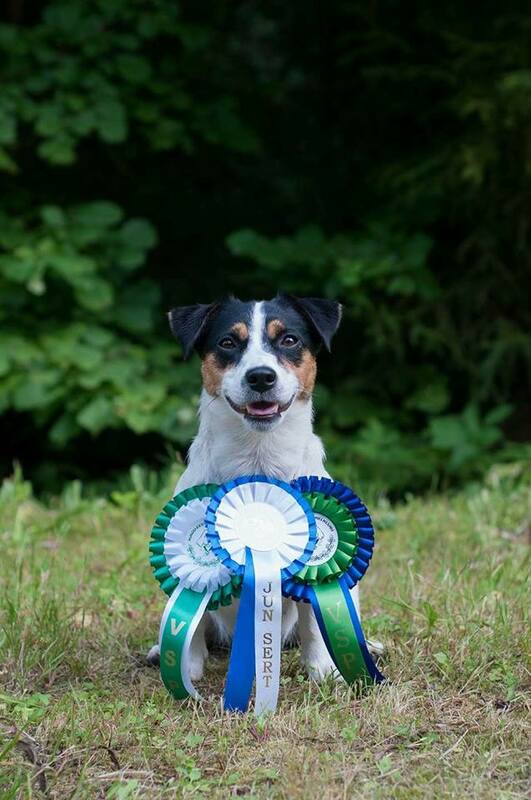 Non-official Finnish Chanpionship for Parson Russell Terriers in Lohja, judge Mira Pihjalamäki. 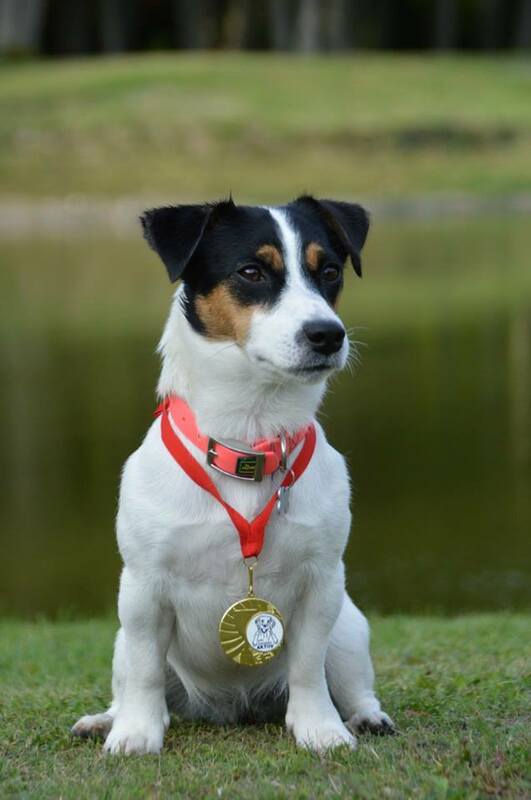 Essie participated as a guest competitor, because only Finnish dogs could compete for the PRT champion title. 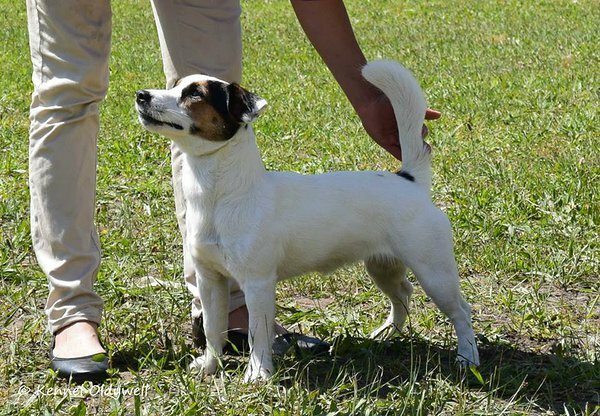 Essie won in open class (1/25). 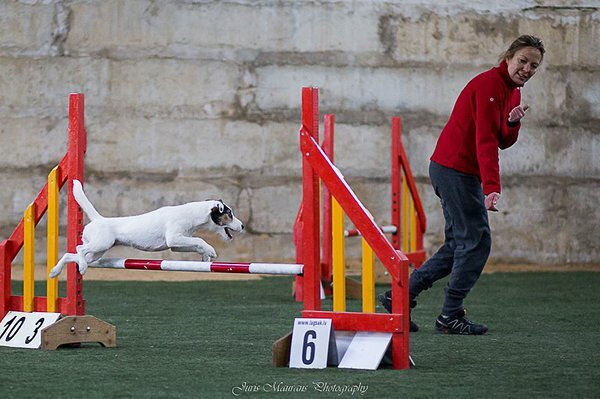 A3 - Essie run clean run with speed 4,82 m/s (third speed in all calsses) and got our first CACiAG! 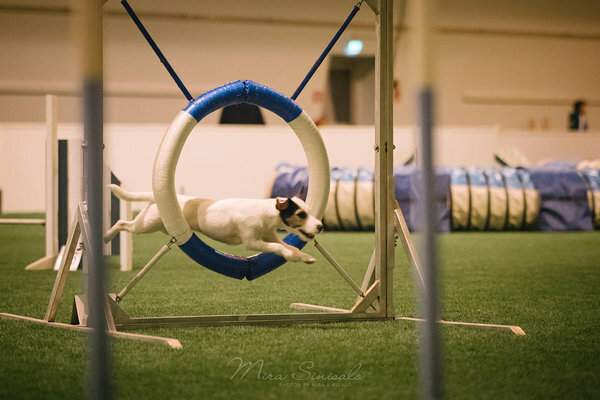 Essie run on the weekend five clean runs with nice spee - two juming cources and three agility courses. 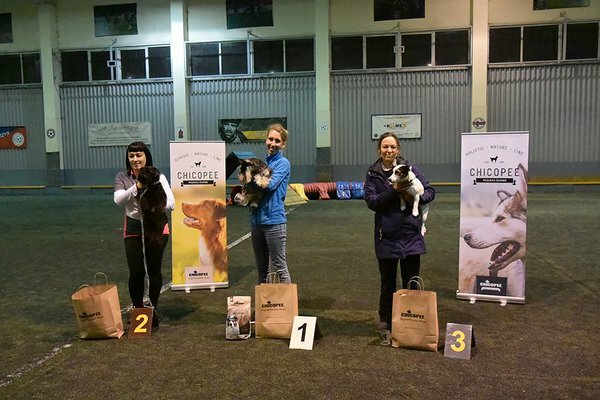 Astra and Essie got 2nd places in final! 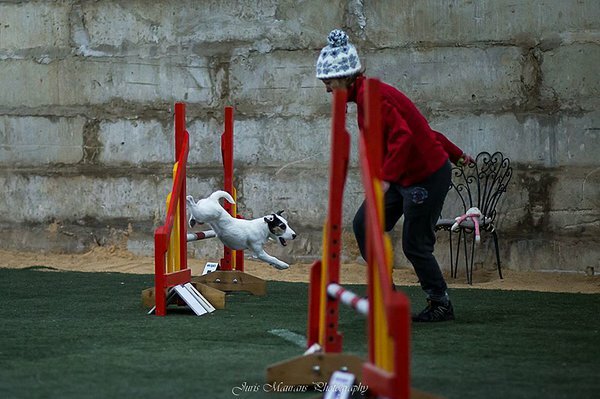 Very nice competition place and organizing, fast and interesting courses from judge. Thank you! We enjoyd it. 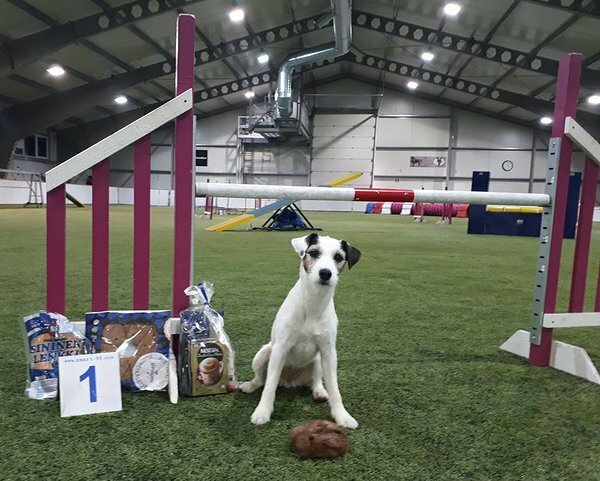 two clean jumping course 2x1st place and 2d in agility course. 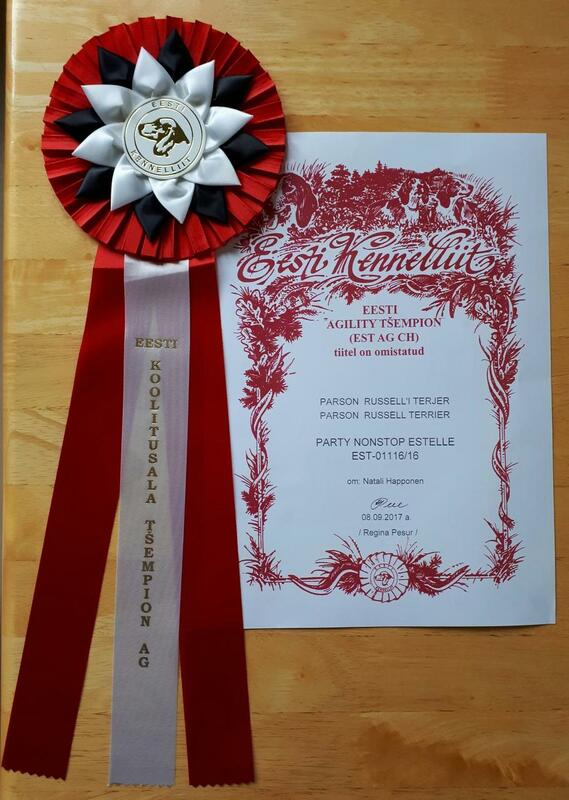 Party Nonstop Estelle (Essie) is Finnish Agility Chempion! 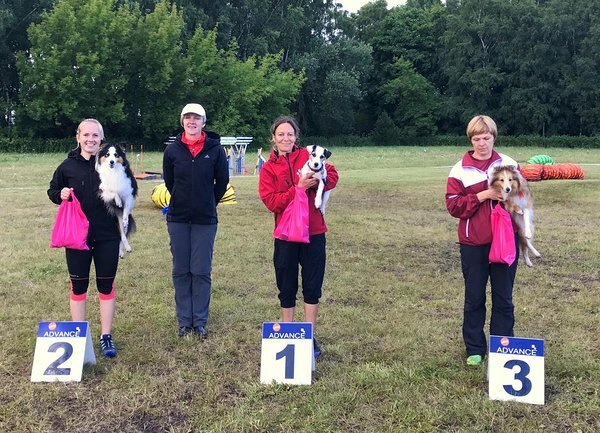 Unofficial obedience competition for beginners Võru Cup 2017 in Põlva 30.09.2017, judge Mari Oblikas, handler Kristiina Ilves. 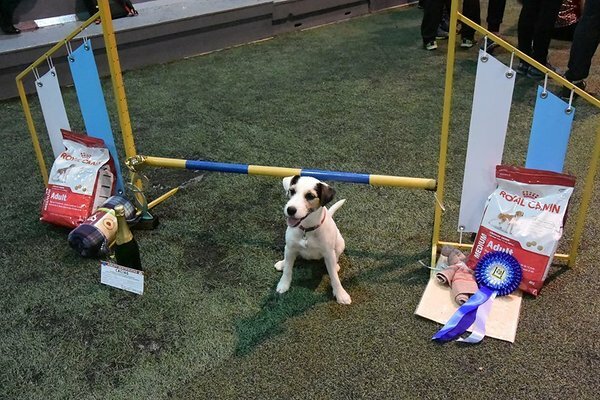 Endy I stage 99 points and frst place. 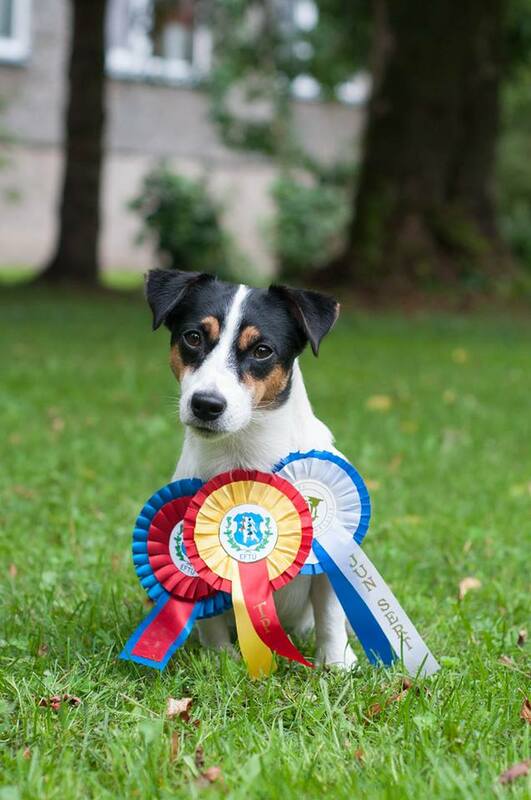 Bonnie II stage 98 points, first place and special prize for the best speed. 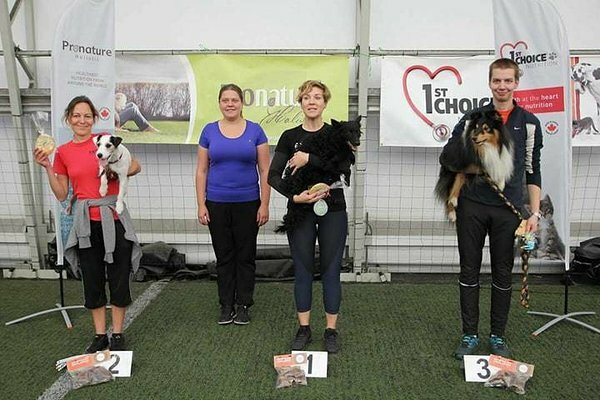 In agility competition in Maardu 23.09.2017 Essie run 2 clean course. Result is 2 x II places. 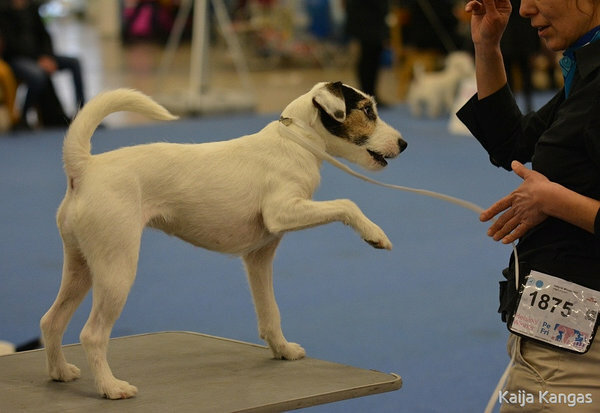 Endy participated well and achieved I place with 100 points. 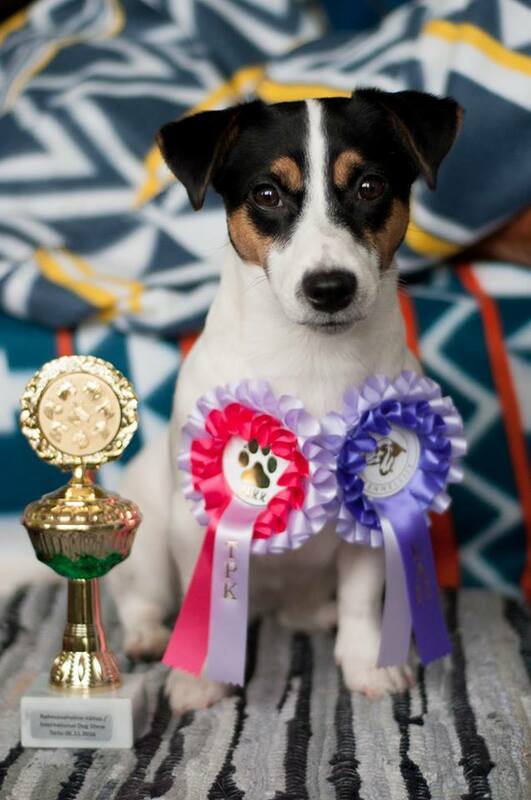 Bonnie got 100 points and II place. 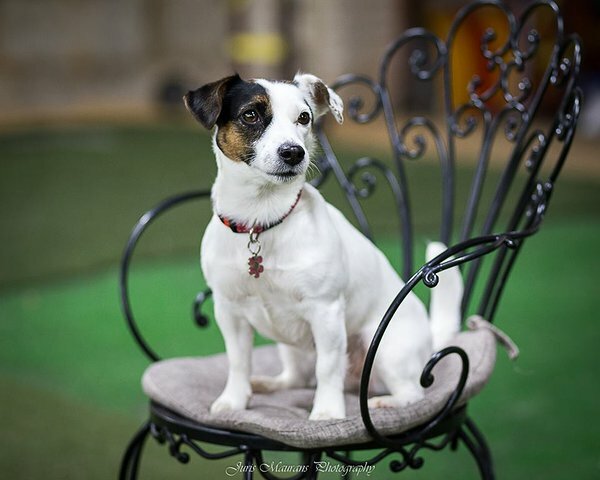 Jude Marika Mikk . 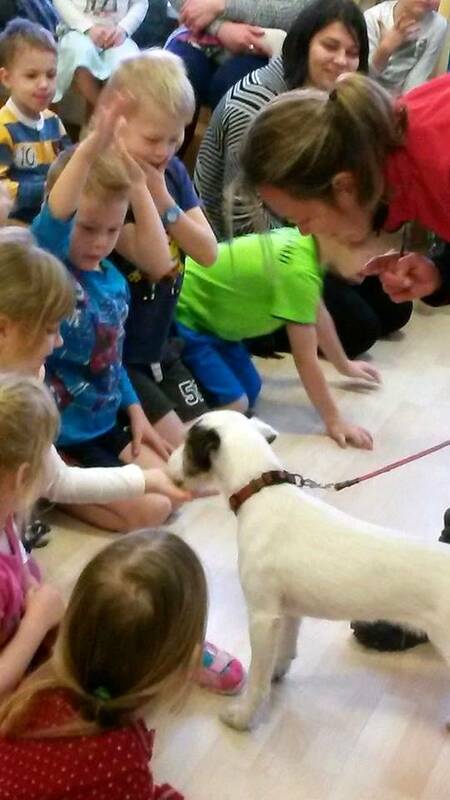 Handler Kristiina Ilves. 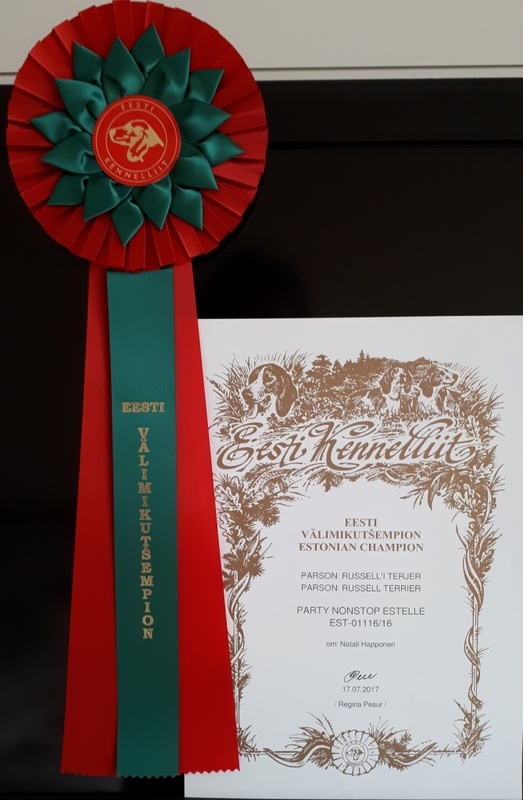 Party Nonstop Estelle (Essie) is Estonian Agility Chempion! 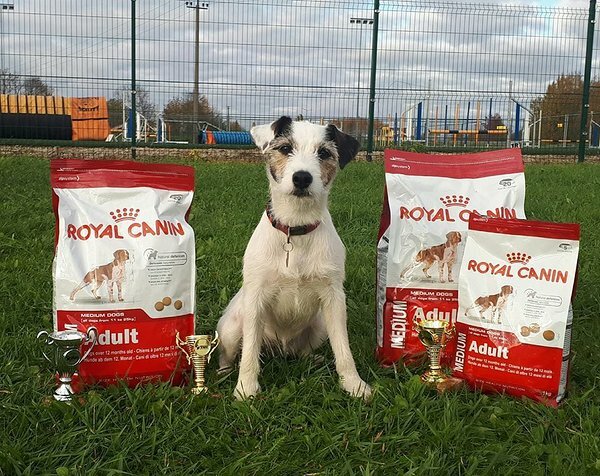 New champion in our kennel! 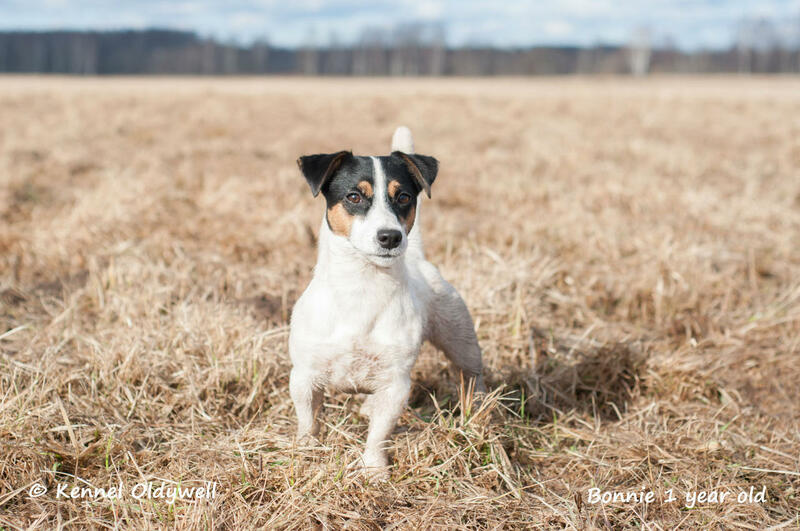 Oldywell Best Choice Bonfire is Estonian Junior Champion! 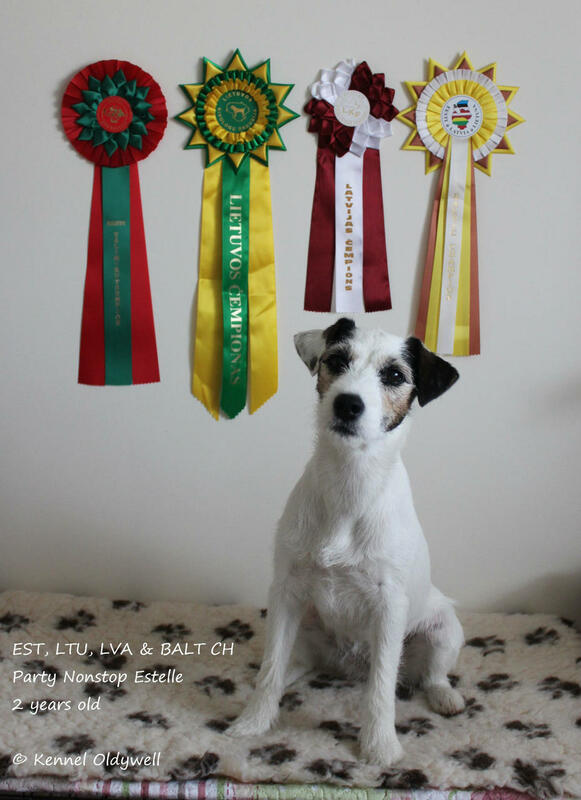 Parson russell terrier Party Nonstop Estelle is Lithuanian, Latvian and Baltian Champion! 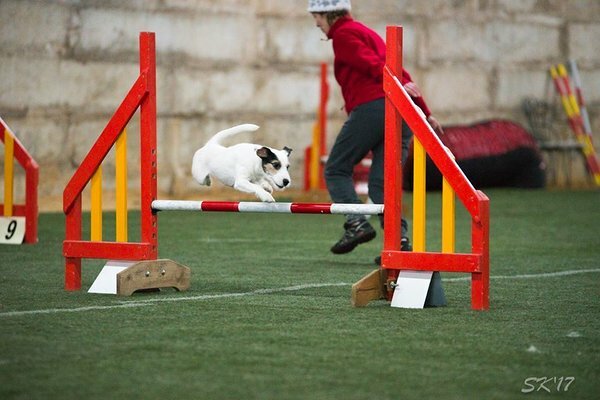 Agility competition in Luige. 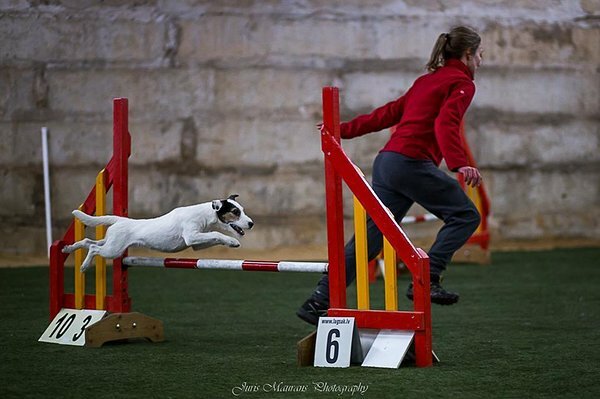 Essie run on Saturday clean jumping run and won the course. 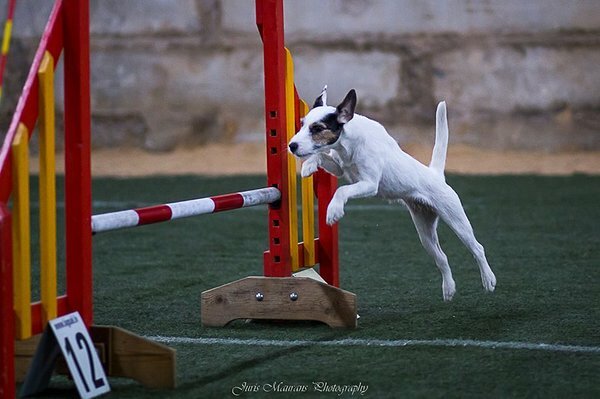 On Sunday in international competition Jumping+Agility we got III place. 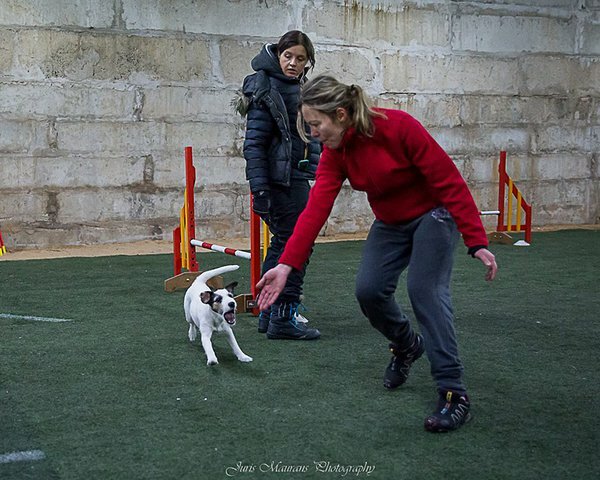 Kristiina and Bonnie participated on the obedience competition for young dogs in beginners class. 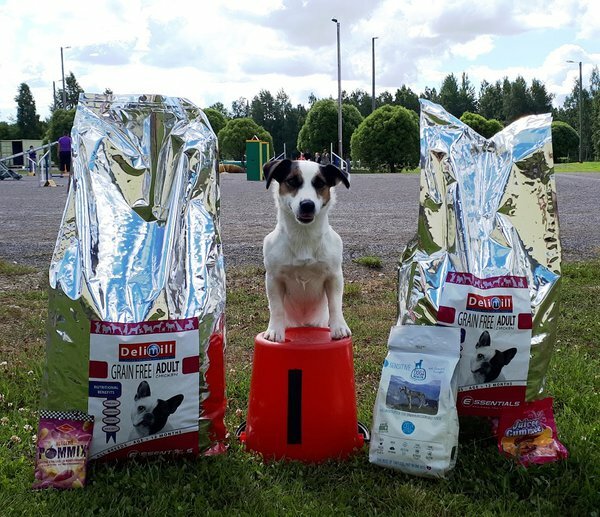 This time the competition was held in Saaremaa. 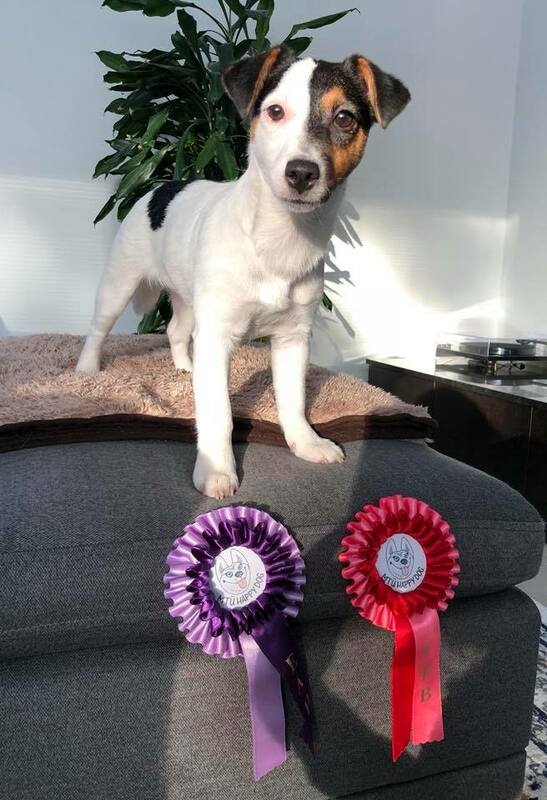 Result - 1st place with 98p! Smooth litter D are born!!! 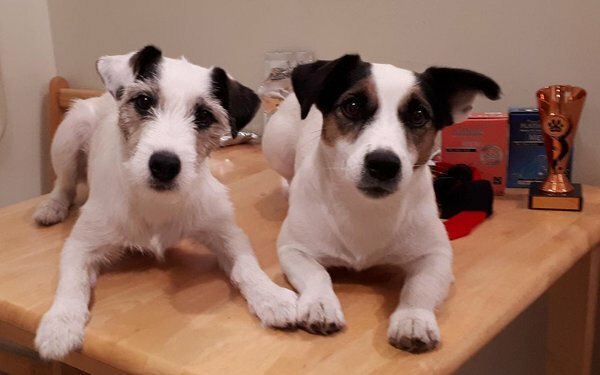 Parents are Artie and Elly. 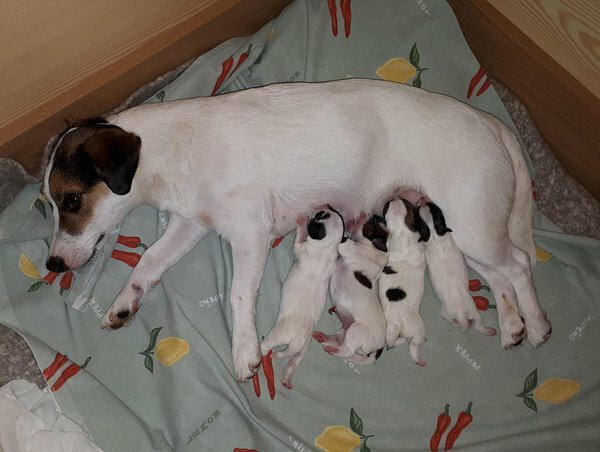 20.08.2017 were born six puppies: five males and one female. Both days BOSJ Jun CAC BOS!!! 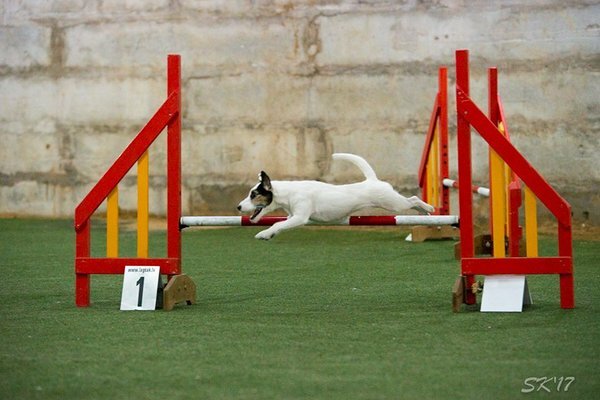 In agility competition in Veskimetsa Essie run 3 clean runs. 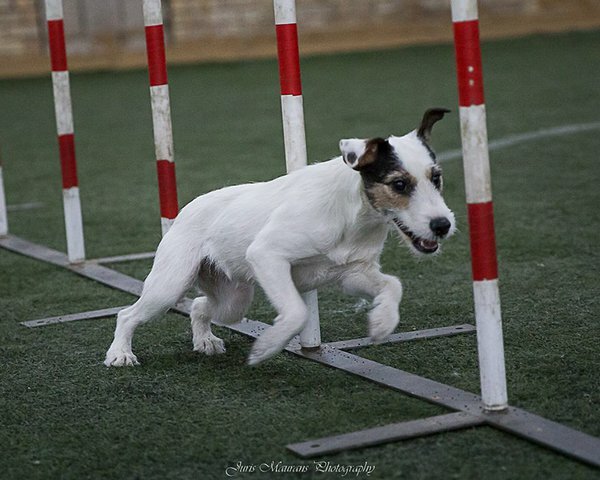 First agility course A3 clean run with speed 5,24 m/s and I place (1/15), next agility course DSQ, third jumping course clean run with speed 4,70 m/s (5/18) and last jumping course clean run with speed 5,39 m/s II place (2/18). Judge Inga Järv (Estonia). 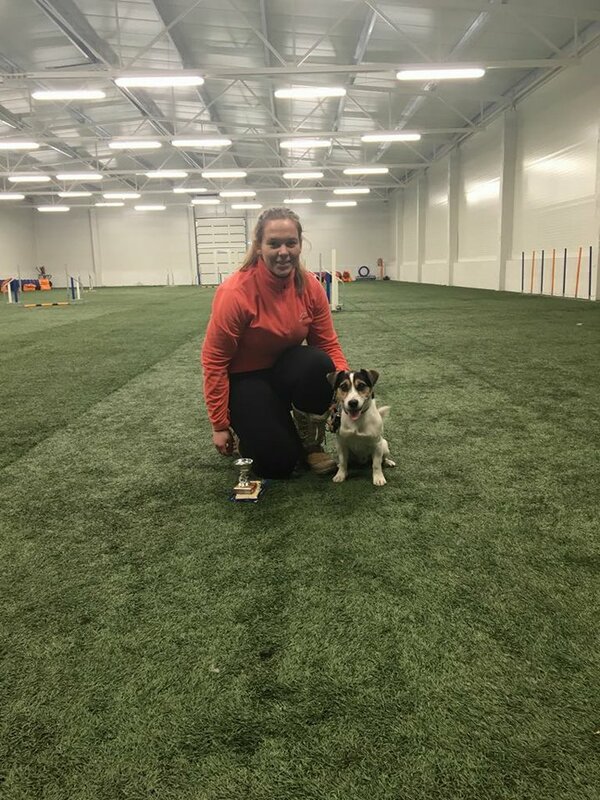 Kristiina ja Bonnie competed on Saturday at unofficial obedience competition for young dogs and got II place with 97points. 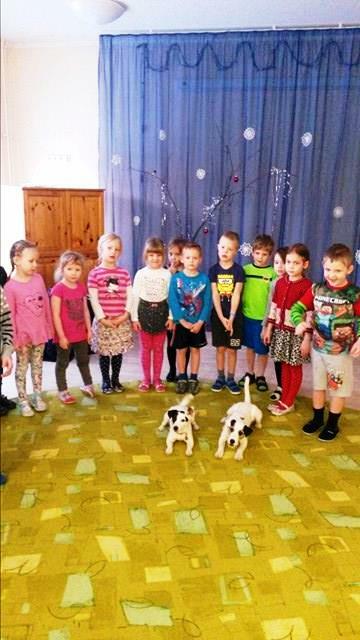 Litter C are born!!! Parents are Jango and DD. 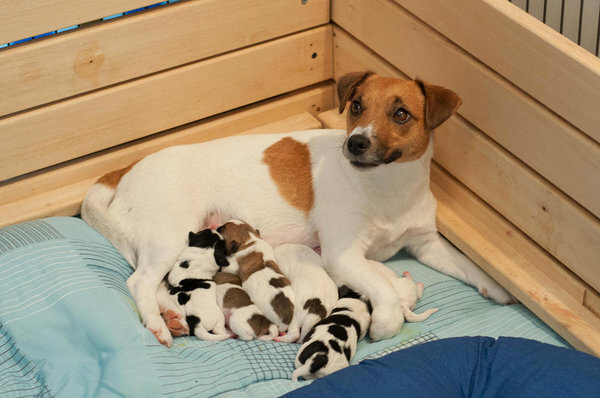 3.08.2017 were born four puppies: three males and one little female. 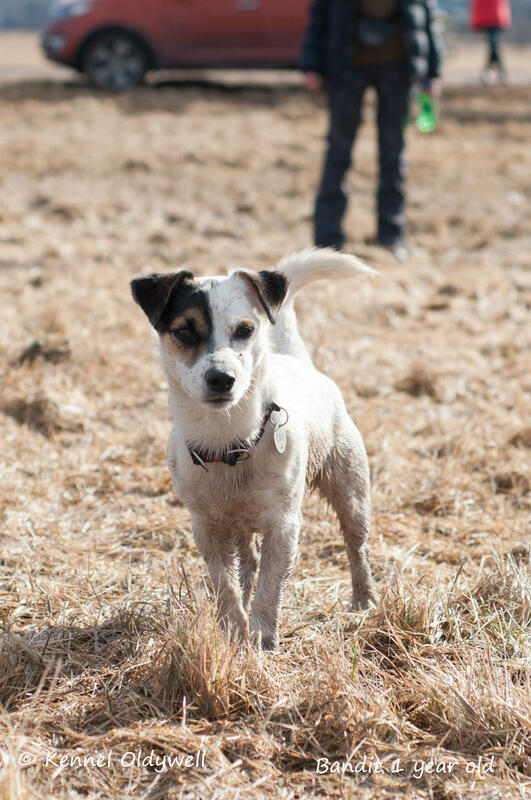 Essie run two clean runs. 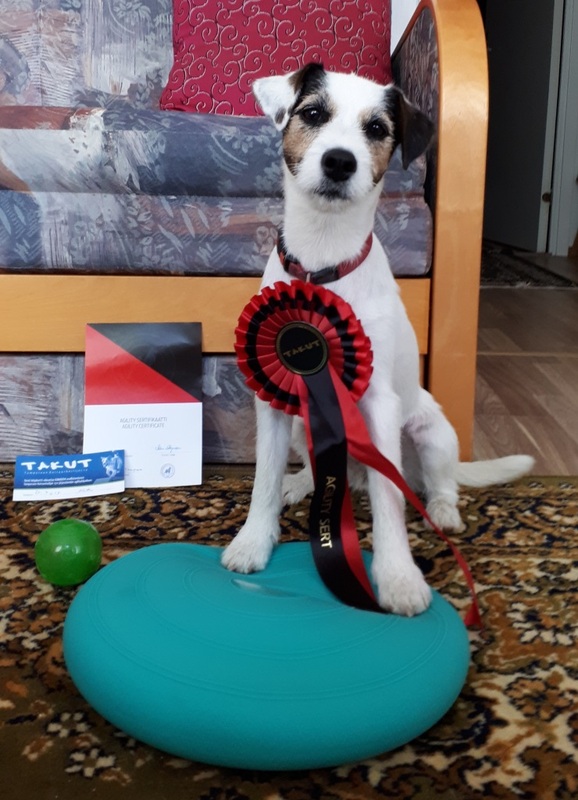 The result of one course is III place and Finnish agility certificate! 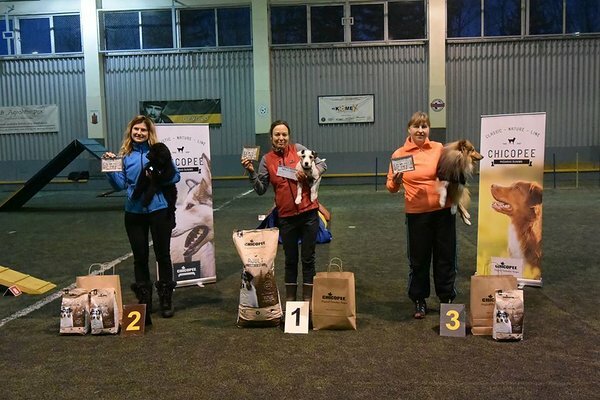 Little Astra had third official competition in Mikkeli. She was pretty good. 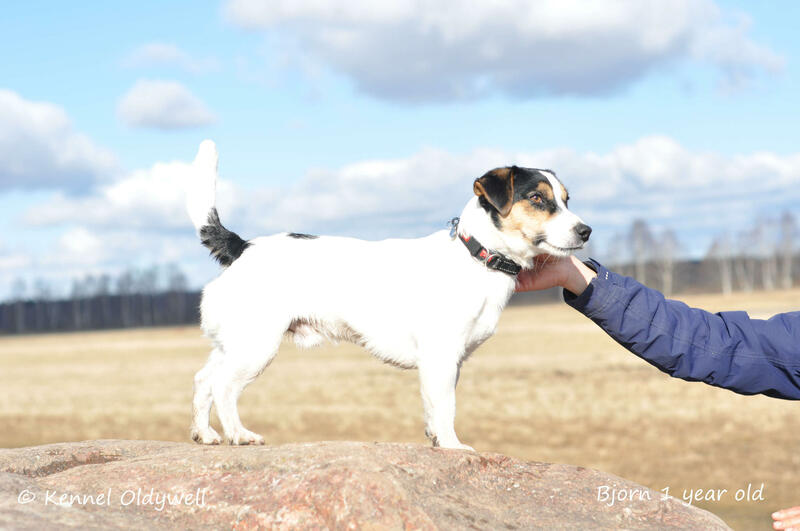 22.07.17 judge Allan Mattsson (FIN) J1 III place and 23.07.17 judge Anne Savioja (FIN) two agility courses A1 two first palces. 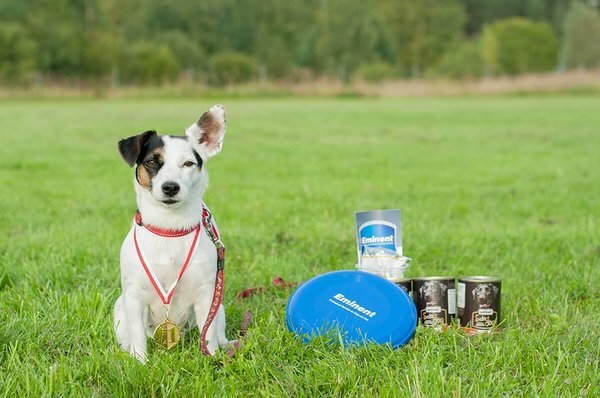 Bonnie managed to score 1st place in midi-medi class at non-official agility competition Säde Cup 22.07.17 in Tartu! 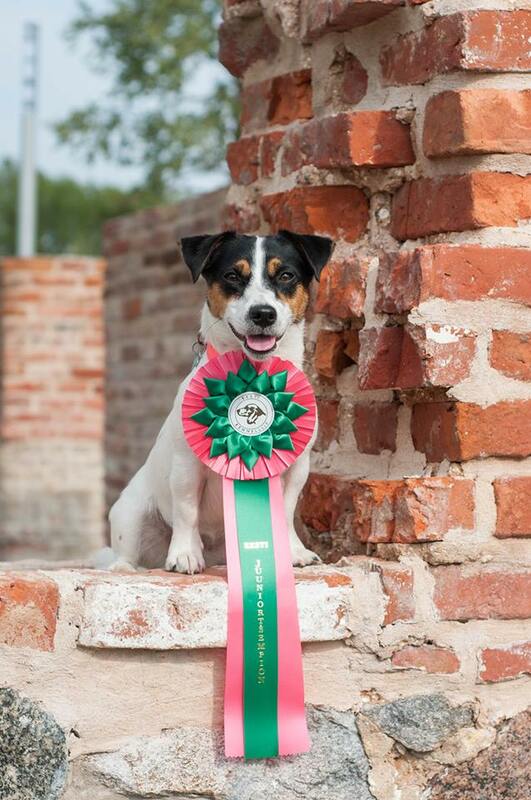 17.07.2017 parson russell terrier Party Nonstop Estelle is Estonian Champion! 7.-9.07.17 we had enjoyable weekend in Rožnov pod Radhoštěm. 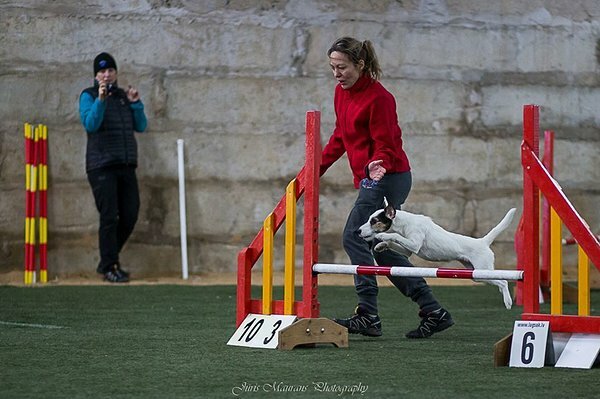 Essie and Astra participated first time in so big international agility competition. I am so proud of my girls. 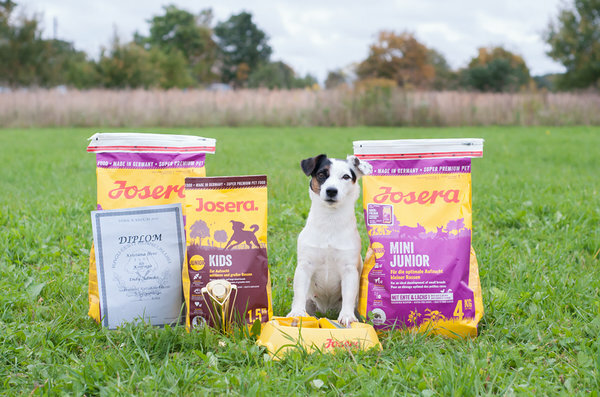 Essie (prt Party Nonstop Estelle almost 2, 5 years old) started to compete in December 2016, in A3 class from the end of January 2017 and for Astra (jrt Oldywell Prima Astra 2,5 years old) MO was only second official competition. 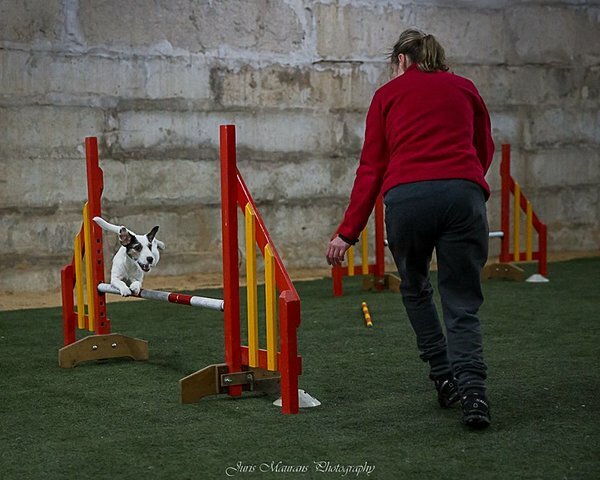 two dsq on Friday A3 course and on Sunday last jumping course. 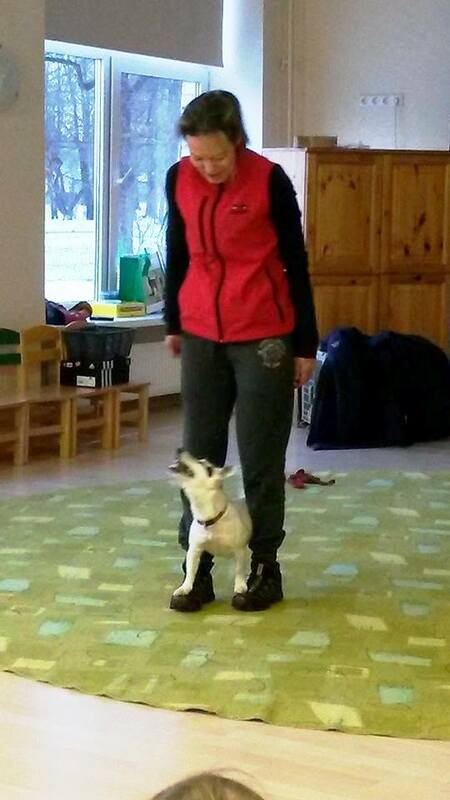 Astra also made perfectly all contact zones on Friday and Saturday. 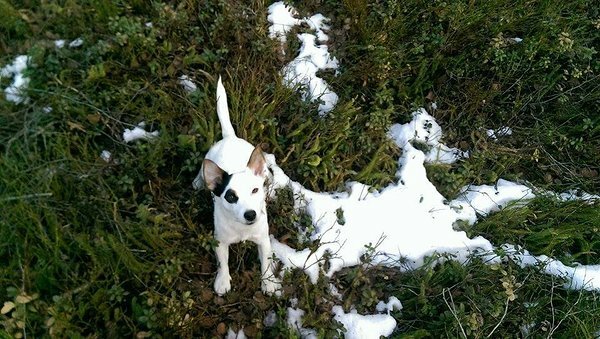 On Friday she got in A1 3d place. 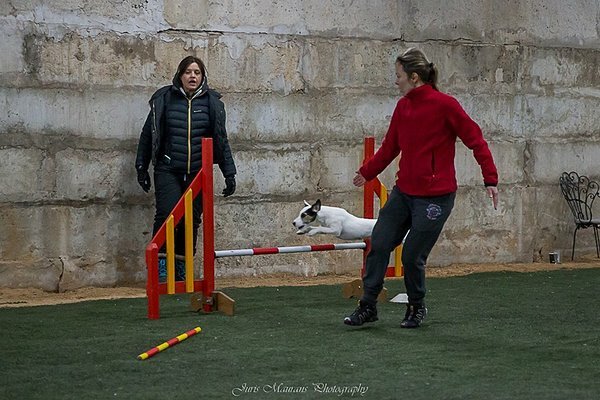 In open trials we got dsq-s, but some parts of the courses were very nice and I am glad of it. 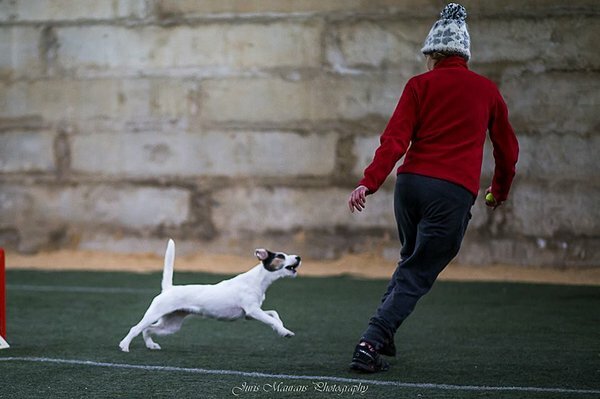 Moravia Open is great competition. 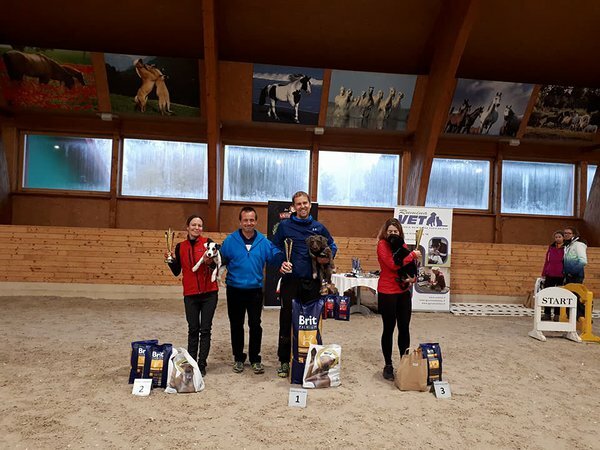 Super organizing, great work of judges - Zsofi Biro, Jan Egil Eide, Petr Pupík, Bernd Hueppe, interesting and challenging courses, great handlers and dogs, nice atmosphere! I am grateful for this! Yes!!! We did it! Today 21.05.17 FT Blood Trial Oldywell Prima Astra (Astra) III rank and Party Nonstop Estelle ( Essie) II rank! 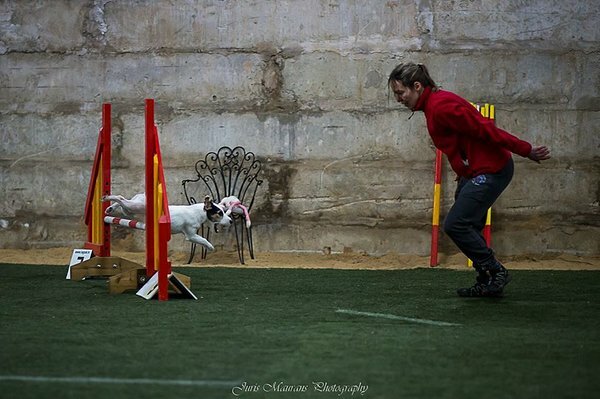 Astra and Bonnie were successful in tunnels competition for beginners 14.05.17 in Viljandi. Astra I place and Bonniel II place. 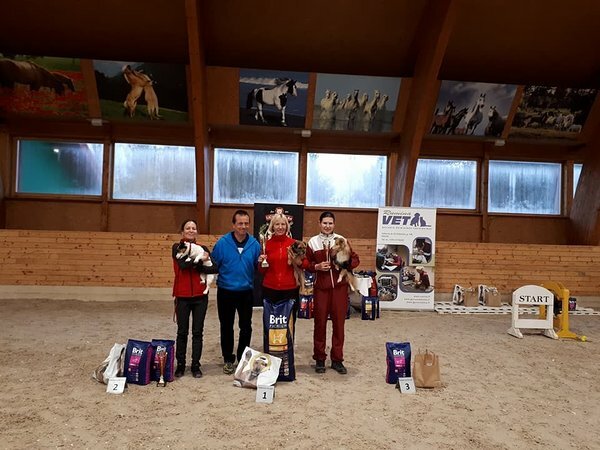 Small little girls ran quite quickly : first trial - Astra with speed 5,87 m/s and Bonniel 5,22 m/s; second trial Astral 5,68 m/s and Bonniel 5,32 m/s. 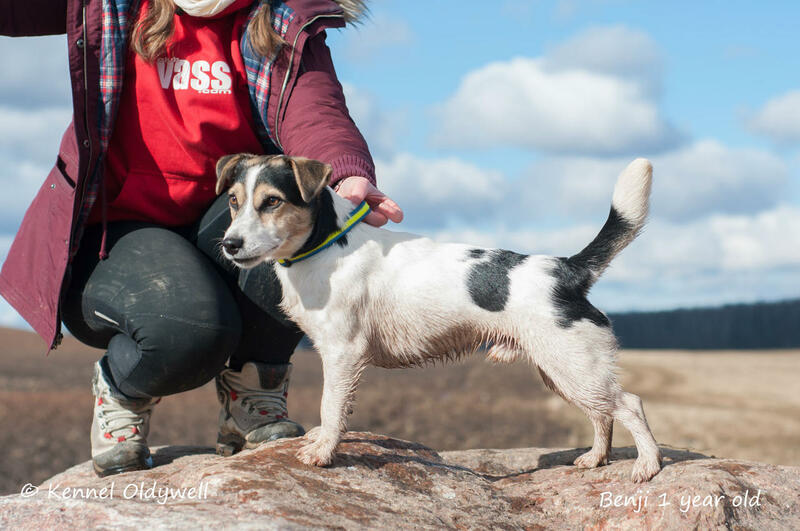 Essie's clean run, agility competition in Viljandi 14.05.2017, AG3, speed 5,06, judge Rolli Schiltz (Luxemburg). 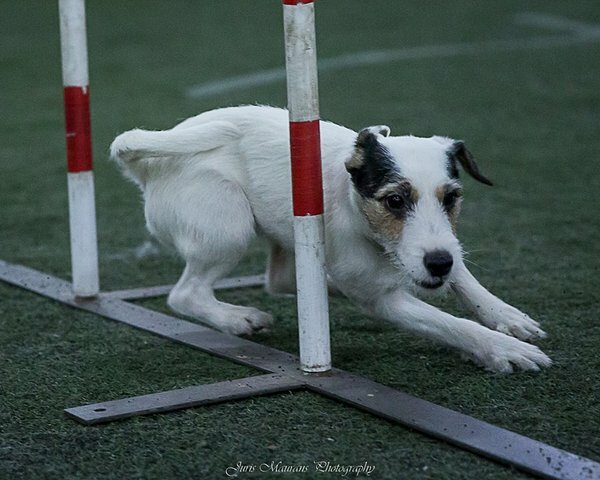 Essie's clean run, agility competition in Jõulumäe 6.05.2017, AG3, speed 5,03, judge Esa Muotka (Finland). 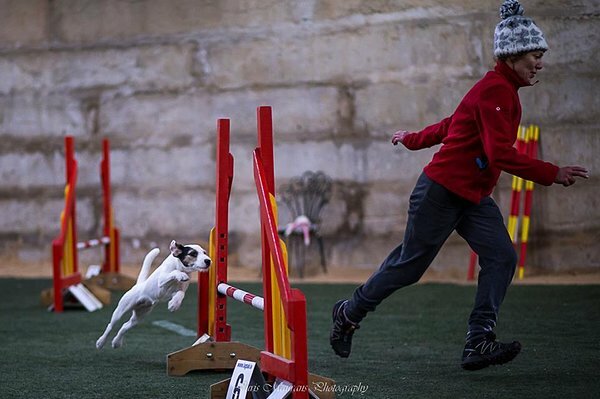 Agility competition in Maardu 1.04.17. 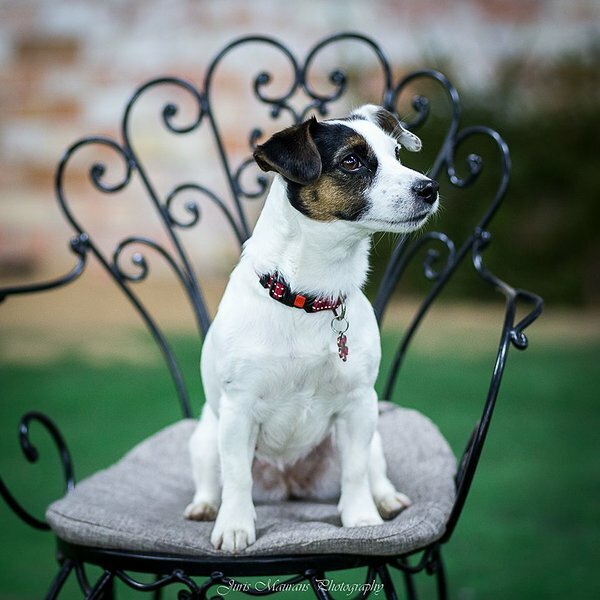 The first time in the first place in AG3 trial with Essie. Judge Inga Järv. Speed 4,8 m/s. 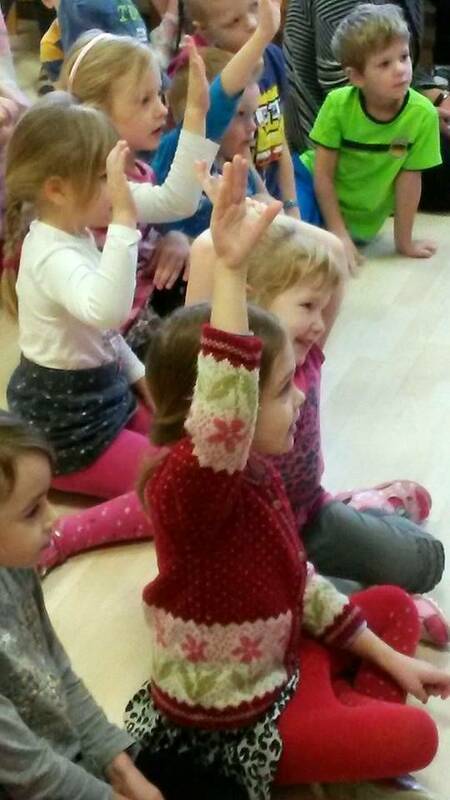 11.03.17 youngsters celebrated together one year birthday in Tartu. 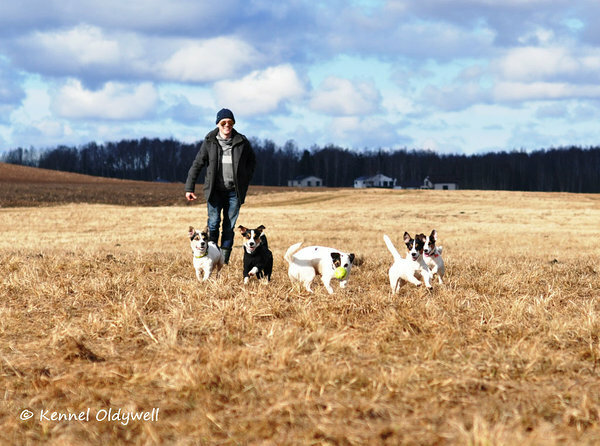 Bandit, Benji, Bjorn and Bonnie run tunnels and enjoyed sunny day running on field. Head uudised! Oldywell Divine Art ja Ultra Elegance geenitestide tulemused on leiuta. 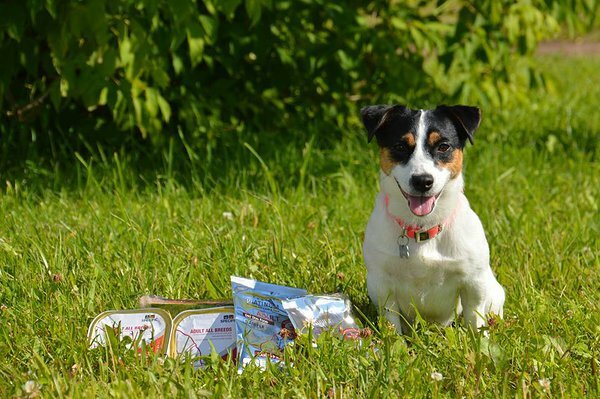 Paar päeva enne kaheaastaseks saamist jooksis Essie A3! 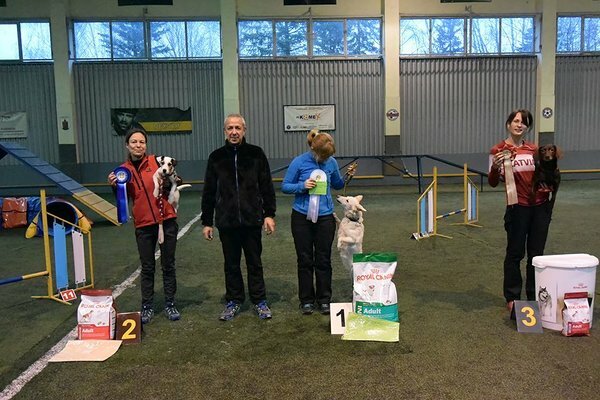 Aasta 2017 algas minu ja Essie jaoks sportlikult. 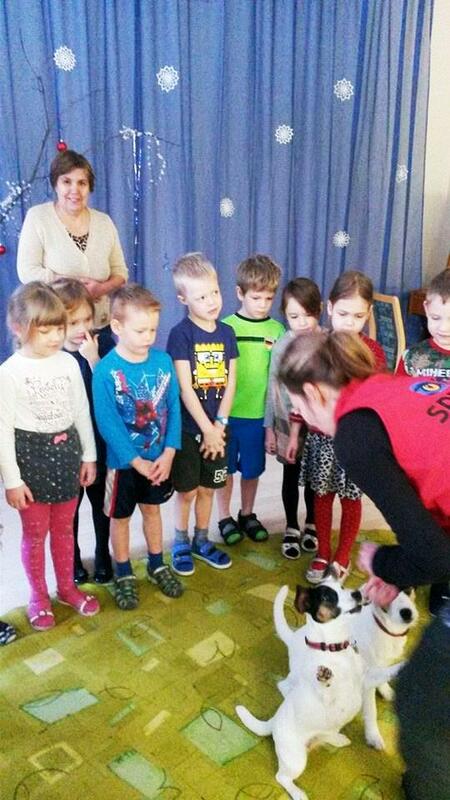 6.-8. jaanuaril, trotsides külma (kuni -26) treenisime rahvusvahelises seltskonnas agilitykoolitaja Magdalena Ziolkovska (Poola, One Mind Dog koolitaja) juhendamisel. Treeningud toimusid Zaķumuiža treeninghallis. 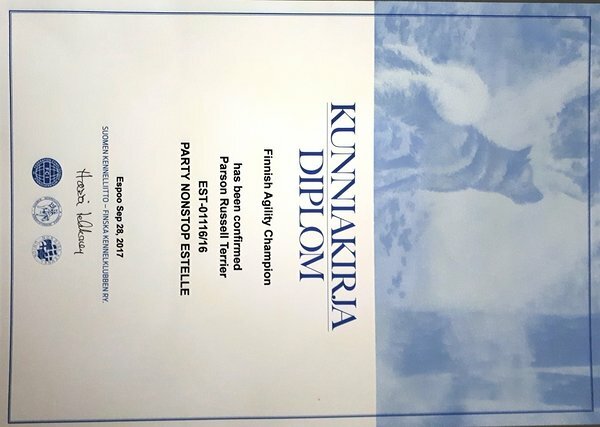 Agilityseminaril oli juttu koera juhtimisest ja händlingu põhitõdedest, harjutasime põnevaid ja kiireid radu. 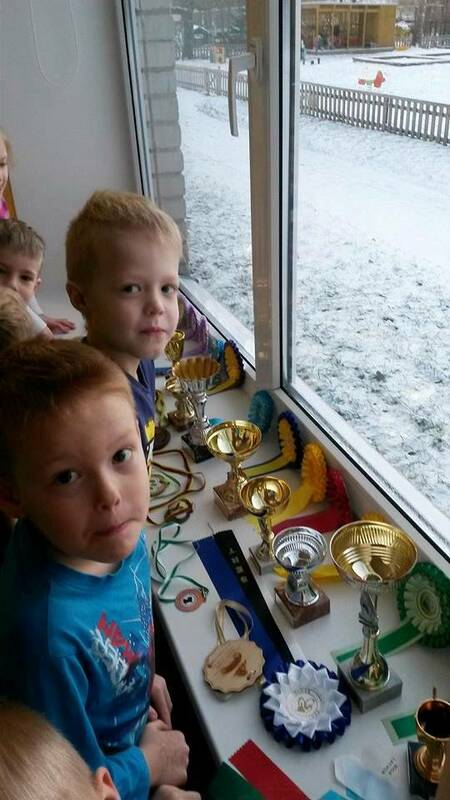 Neljapäeval, 05.01 toimus Tartu Lasteaias Rukkilill lemmikloomapäev – koer on lapse sõber. 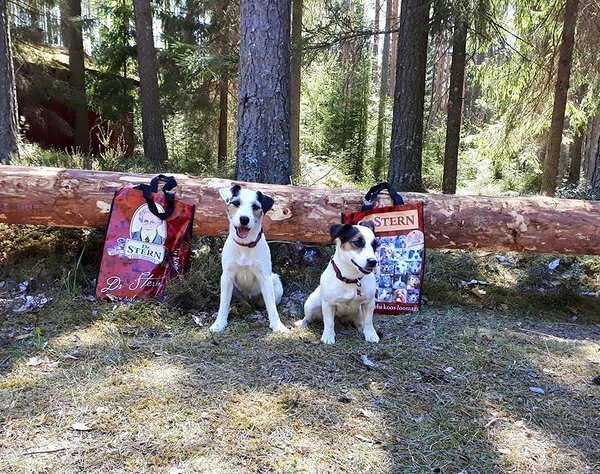 Külas käisid Natali ja kaks terjerit – Endy ja Essie. 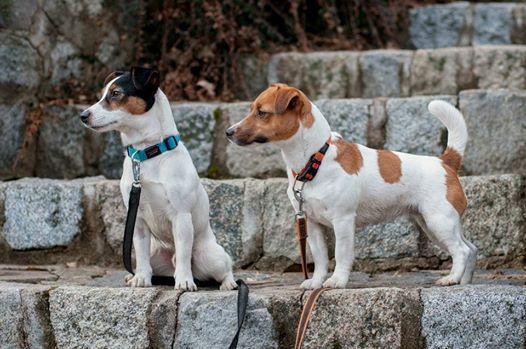 Koerad näitasid erinevaid trikke, suhtlesid lastega. 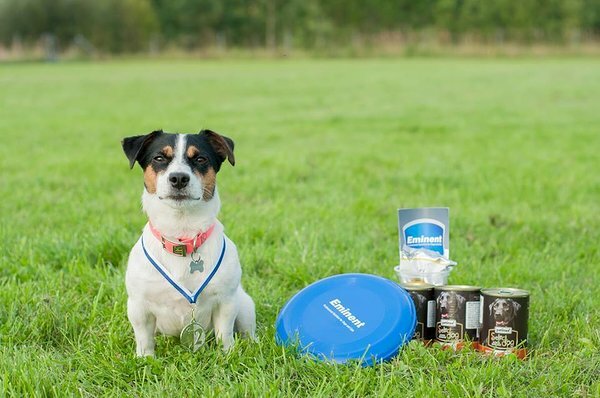 Natali rääkis lastele,kuidas läheneda võõrale koerale , kuidas treenida ja toita koeri.